Liam joined the firm in August 2017 where he specialises in child abuse claims. He has a wealth of experience dealing with child abuse cases and has used this experience to bring justice for those clients bringing claims against public bodies including councils, schools, religious and charitable organisations, social services and the police. He also works on behalf of clients as they pursue compensation claims through the Criminal Injury Compensation Claims and regularly takes matters to Tribunal hearings. Before solely specialising in abuse cases, Liam worked with a mix of personal injury cases, making a significant settlement for a claimant who had had a serious accident at work. 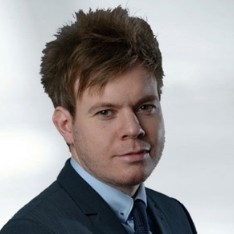 Alongside his work with personal injury claimants, Liam volunteered for two years with Manchester University, providing pro-bono legal advice to university students on a wide range of areas.